Yesterday we celebrated the many cultures combined into one Hillsmeade school community. Did you know that we have 53 cultures in our school with 47 different languages being spoken in our children’s homes? This is surely something to celebrate. 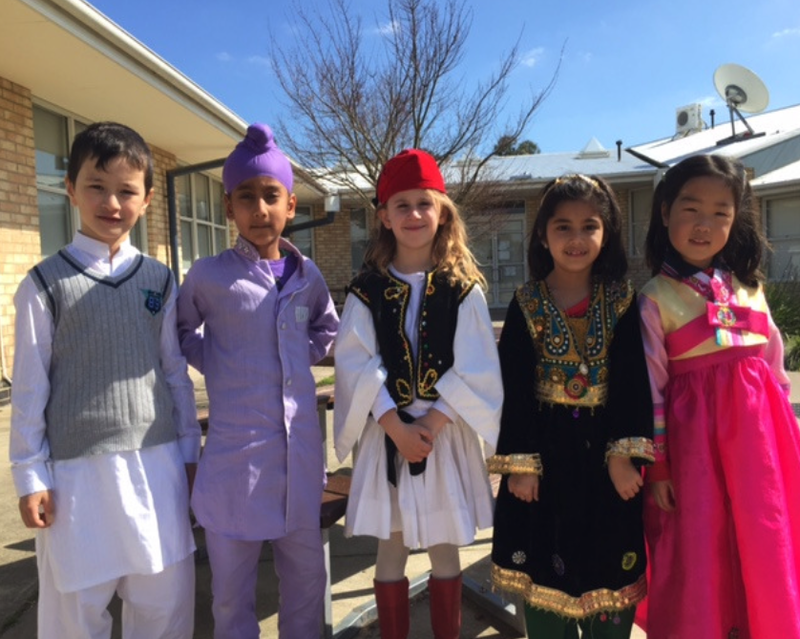 The celebrations included international songs, traditional dress, flag or photo, conversations around multiculturalism in the classroom, creating flags of our heritage and learning to say ‘hello’ in different languages. Our assembly on Friday will showcase the cultures when the children wave their flag in unison. I’d like to thank the members of our KidsMatter Action Team, our Welfare Committee and particularly, Mitze and Sakina (student Social Worker) for organising this special day for us to reflect upon our own heritage and learn more about our community. 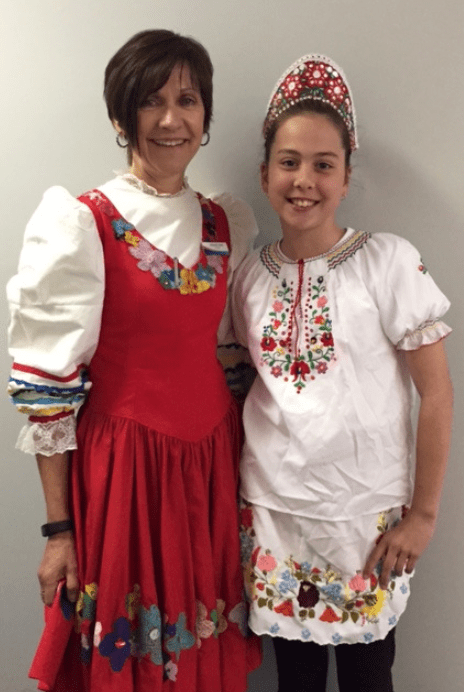 Krystal and I both have Hungarian heritage. We are currently working on upgrading our school website with the aim of providing our current and prospective parents updated information about Hillsmeade. Suggestions are most welcome as we believe our parents are the primary users of our website and the information needs to be able to answer the questions they may have about our school. Please drop any ideas into the office so we can take them into consideration. The School Council Buildings and Grounds sub-committee met recently to discuss what maintenance could be completed this year and within budget. The painting is ongoing, with the gym foyer being completed on Monday, the Library will start in a week or two and the children’s toilets will be painted during the holidays. We also agreed to spruce up the garden at the front entrance to the school, clean the shade sails and have the heaters/air- conditioners maintained. Most importantly, we also discussed the possibility of obtaining quotes for our much needed oval upgrade. As this is a major works project, we are required to follow the department’s guidelines around obtaining quotes, getting approval etc. However, we are very keen to start the discussions and with fingers crossed, we will see significant improvement with our oval in 2016. Very exciting news for our school. Families are reminded that students MUST be collected after school by 3.45pm. Recently we have had children here till 4.30pm and on occasion, 3.30pm on our last day of term. Our teachers can supervise for 15 mins after the bell but we have other commitments such as staff meetings. If you require after school care, please contact the ELC to see if there are vacancies. Finally, I would like to wish all our dads a special Father’s Day on Sunday. May you have a day filled with laughter, love and precious moments with your family.